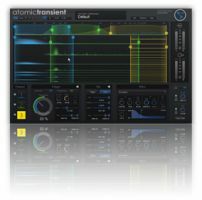 Molecular Bytes has announced AtomicTransient, a new polyphonic transient plug-in. 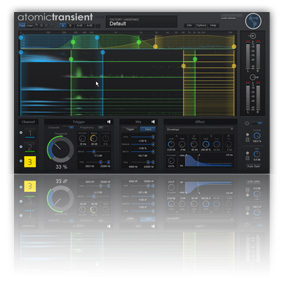 AtomicTransient is a multichannel transient effect plugin which processes not only percussion and drums - detected notes of solo or polyphonic instruments like guitars, piano and complete mixes can be adjusted with filter-effects, common dynamics or a new ADSR-overwrite. 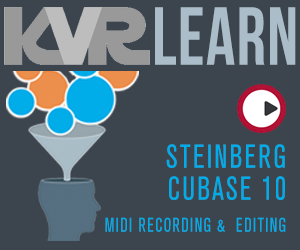 Bring more sustain to a snare or remove specified drums in a mix. Enhance or reduce the plug of a guitar or even bring more groove to a complete mix by changing the envelope of bass, snare or hi-hat in any way or extend the sustain of each note of a piano sequence without touching other sounding tones. Reshape your instruments as easy as you do with your synthesizer.